Overall the program has been considered a success in achieving all those goals, and millions of workers have benefited. And then, along came the Internet and OSHA realized that an avenue was open to expand safety training further. 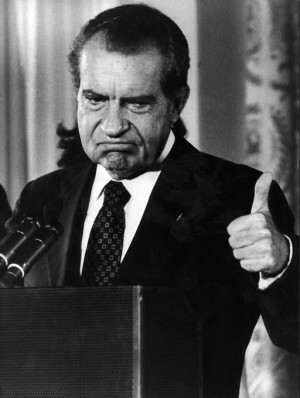 It took a while for OSHA to embrace the Internet, but when they got going it had a big impact. In 2003, the first year of online OSHA outreach training, only 1.5% of students experienced online OSHA safety training, a total of just 4,329 students (these numbers are drawn from https://www.osha.gov/dte/outreach/outreach_growth.html). How things have changed. In 2012, the last year for which OSHA has released data, almost 134,000 workers, or just under 20% of all trainees, chose to do their OSHA 10 and OSHA 30 training online. At OSHA Pros we offer both online and on site training, so we know the pros and cons of each. Certainly there’s still a big need for on site training using an experienced, OSHA Authorized trainer. However for many workers seeking their own training, or even smaller companies who can’t afford to pay for a personal training session, online training is a huge convenience and still provides the necessary level of worker education. 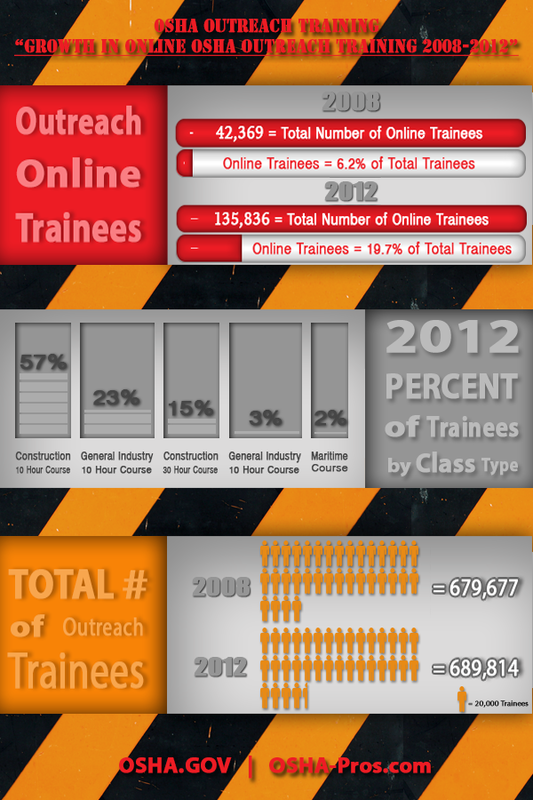 We were intrigued by OSHA’s numbers for online outreach training growth, so we turned them into an infographic, below. Please feel free to share or comment. Have you been through an online OSHA outreach course? What’s your opinion: has it helped you to work more safely? Leave your answer in the comments below.